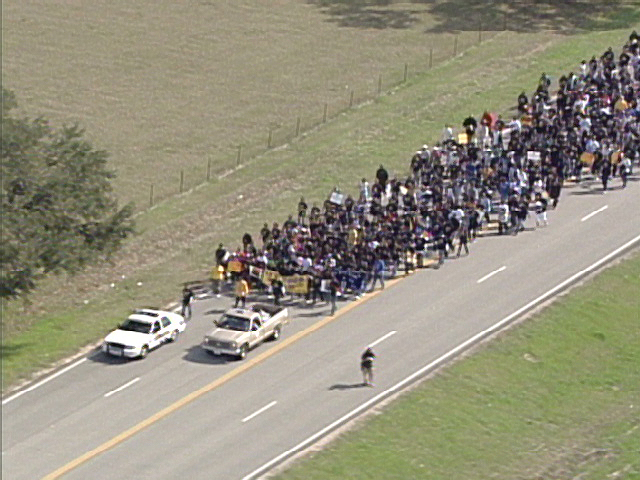 Prairie View A&M students organized to protest the decision, because they felt it hindered their ability to vote. For background, Prairie View A&M is one of Texas' historically Black universities. It has a very different demographic feel than the rest of the county. There has been a long history of dispute over what the students feel is disenfranchisement. There was a lot of outrage in 2006, when students felt they were unfairly denied the right to vote when their registrations somehow did not get processed. Waller County has faced numerous lawsuits involving voting rights in the past 30 years and remains under investigation by the Texas Attorney General's Office based on complaints by local black leaders. Those allegations, concerning the November 2006 general election, related to voting machine failures, inadequate staffing and long delays for voting results. "I was angry after registering to vote in the 2006 election only to be turned away at the voting booth," said sophomore Dee Dee Williams. So what are the students doing? 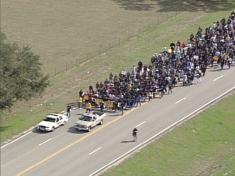 1000 students, along with an additional 1000 friends and supporters, are this morning walking the 7.3 miles between Prairie View and Hempstead in order to vote today. According to the piece I saw on the news (there's no video up, so I can't link to it), the students plan to all vote today. There are only 2 machines available at the courthouse for early voting, so they hope to tie them up all day and into the night. I love stories like this. In the face of an obvious ploy to suppress the vote, these young people stood up for their rights and showed that they will not be cowed. Republicans should be worried, because this is a committed electorate.